At 8 Points Home Inspection we will work with you on your new home purchase in Newburyport, MA to identify defects and help you understand the issues with your new home before you move in. Within 48 hours of the completion of your home buyer inspection you will receive an extremely detailed and thorough inspection report describing the findings and including representative photos of many of the areas of concern. 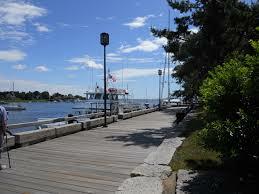 Newburyport lies at the mouth of the Merrimack River, where it meets the Atlantic Ocean. 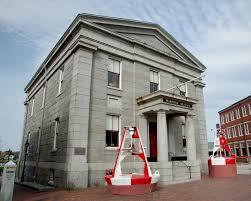 The town was considered a section of Newbury for over a hundred years until it was recognized as its own town in 1764. The town prospered from fishing and shipbuilding as well as other industries including silverware manufacturing and a rum distillery. Numerous sea captains called Newburyport their home, and their beautiful homes still adorn a stretch along High Street. A small barrier island is a short drive from the downtown area. 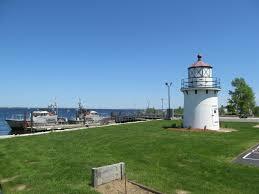 Plum Island is approximately 11 miles long and portions of it belong to Newburyport, Newbury, Ipswich and Rowley. The island is a coastal favorite during the summer months and has long, sandy beaches, many of which fall within the Parker River National Wildlife Refuge. A significant portion of the refuge beaches are closed during the nesting season of several shore bird species, including the Piping Plover. 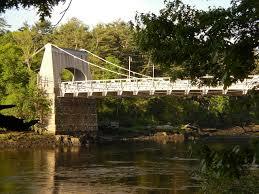 The Chain Bridge crosses the Merrimack River and connects the city to Amesbury. The bridge is the only ‘suspension bridge’ that is currently maintained by the Commonwealth. To schedule an appointment for your Newburyport, MA home inspection call 8 Points today at (844) 487-6468.